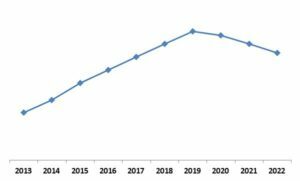 According to a new report Asia-Pacific Virtual Training & Simulation Market, published by KBV Research, the Asia-Pacific Virtual Training & Simulation market is expected to attain a market size of $93.3 billion by 2022, growing at a CAGR of 20.3% during the forecast period. Major market leaders are working on developing novel solutions by heavily investing on R&D. New market opportunities are explored by expanding the market presence with strategies such as partnerships, collaborations, and other strategic alliances. Simulation technology finds its application in aviation, military, medical science, and navy. The levels of awareness would eventually rise and the adoption of the technology would witness significant rise among different end users. 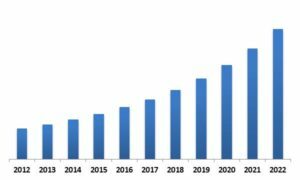 The Hardware market dominated the China Virtual Training and Simulation Market by Component in 2015, and would grow at a CAGR of 15.2% during the forecast period (2016 - 2022). The Software market is expected to witness a CAGR of 23% during (2016 - 2022). The report has exhaustive quantitative insights providing a clear picture of the market potential in various segments across countries in Asia-Pacific region. The key influencing factors of the Asia-Pacific Virtual Training & Simulation market have been discussed in the report along with the elaborated company profiles of BAE Systems, CAE Inc., L-3 Link Simulation & Training, Cubic Corporation., ON24, Inc., QinetiQ Group plc. , ANSYS, Inc. and Kratos Defense & Security Solutions, Inc.